Canada’s payments market is evolving at a rapid pace, and its future structure is becoming clear. Boston, January 16, 2019 – Although payments modernization, particularly for real-time payments infrastructure, is a global trend, few regions’ programs are as ambitious as Canada’s payments modernization initiative. The plan envisages a wholesale modernization of Canada’s clearing and settlement infrastructure across both retail and wholesale payments, and it provides a good case study of what payments modernization can mean for industry stakeholders globally. This Impact Note provides an overview of the Canadian payments modernization program. 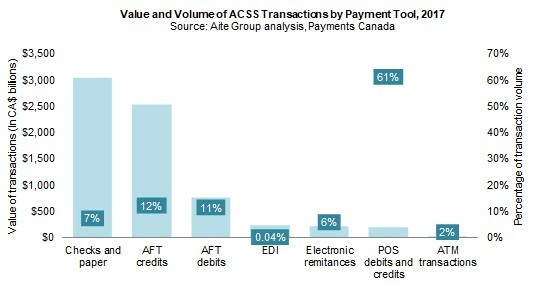 Based on publicly available information as well as Q4 2018 qualitative interviews with industry stakeholders within Canada, this report overviews the project’s initial aims, the latest design considerations, and the strategic and operational challenges the roadmap poses to Canada’s existing payment players. This 26-page Impact Note contains three figures and two tables. Clients of Aite Group’s Wholesale Banking & Payments service can download this report, the corresponding charts, and the Executive Impact Deck. This report mentions Acxsys, Bank of Canada, Bank of Montreal (BMO), CIBC, Interac, Payments Canada, Perago, RBC, Scotiabank, SIA, Swift, and TD Bank.